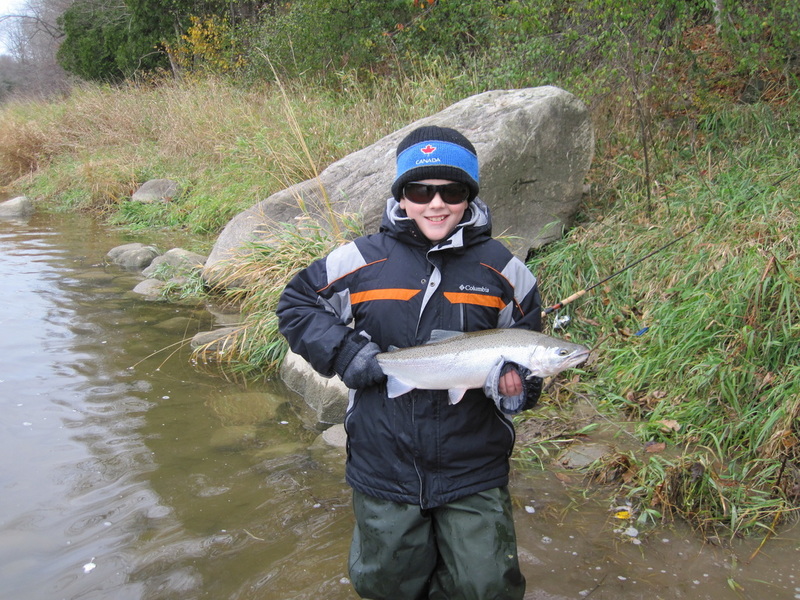 Join us on the shores of one of Southern Ontario's classic rivers for some thrilling steelhead and trout fishing! We employ a diverse arsenal of methods to catch each species, and whatever your preference, we will be sure to assist. Choose from bottom-bouncing centrepin & float fishing, fly fishing, and spin fishing. 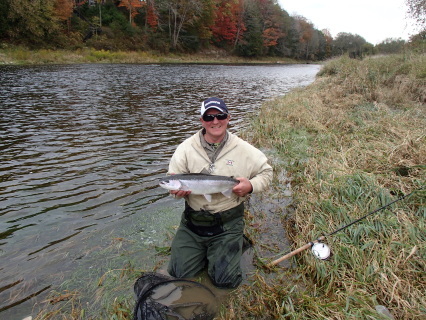 Niagara River and Saugeen River are obvious spring and fall choices for big steelhead but we have several other Southern Ontario options for less pressured fishing too. 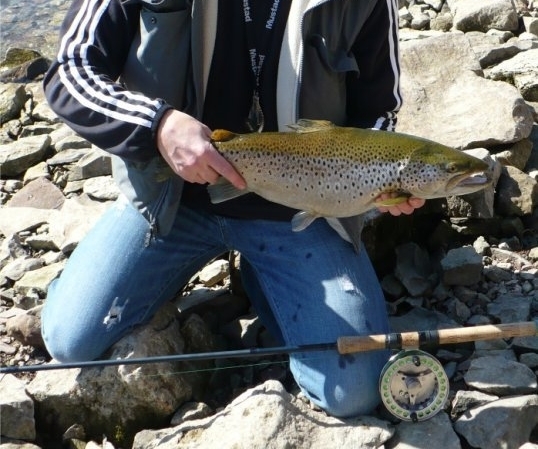 Niagara offers exceptional fishing for Chinook and Coho Salmon, Lake Trout, Brown Trout, and Steelhead starting with the fall salmon run in September and ending with the spring steelhead run in late May. Offering a uniquely West Coast style of fishing in Southern Ontario, our Yak & Wade and driftboat steelhead river trips guarantee steady action during prime season. Opportunities exist for Fall Chinook & Coho Salmon, Brown Trout and Steelhead from Lake Huron, Lake Ontario and Georgian Bay regions. We had the pleasure of guiding Sportsman 360TV host Owen Nolan and his guest co-host former NHLer Chris Simon for steelhead in Southern Ontario. It was the worst weather we had ever fished in let alone guide anyone! Things turned out very good, and the show aired Oct '14. Need an Ontario Fishing License?